The audience at a Fox News town hall erupted in cheers and applause when asked by moderator Bret Baier if they would support Sen. Bernie SandersBernard (Bernie) SandersTrump reelection campaign says it raised M in first quarter Democratic proposals to overhaul health care: A 2020 primer Gillibrand campaign links low fundraising to Al Franken backlash: memo MORE‘s (I-Vt.) “Medicare for All” proposal. “I want to ask the audience a question here. … How many are willing to transition to what the senator says, a government-run system?” Baier asked before the crowd burst into cheers. The question comes a week after Sanders introduced updated Medicare for All legislation in the Senate. His proposed bill would largely eliminate private insurance and institute a single-payer system managed by the government. The updated version would also include coverage for long-term care, such as nursing homes, which is not covered by Medicare currently. Home- and community-based care would also be covered. A number of other 2020 Democratic candidates, including Sens. Kamala Harris Kamala Devi HarrisTrump reelection campaign says it raised M in first quarter Democratic proposals to overhaul health care: A 2020 primer Gillibrand campaign links low fundraising to Al Franken backlash: memo MORE (D-Calif.) and Elizabeth Warren Elizabeth Ann WarrenDemocratic proposals to overhaul health care: A 2020 primer Gillibrand campaign links low fundraising to Al Franken backlash: memo Buttigieg slams Electoral College for overruling popular vote ‘twice in my lifetime’ MORE (D-Mass. ), have endorsed Sanders’s legislation. The White House blasted Sanders’s proposal, however, adding to its past criticism of single-payer plans. Republican leaders have also blasted the bill, with Senate Majority Leader Mitch McConnell Addison (Mitch) Mitchell McConnellTrump learns to love acting officials GOP trapped between Trump and Dems on spending McConnell lays out agenda as House bills pile up MORE (R-Ky.) saying it won’t happen under a GOP-controlled Senate. Despite criticism, a number of polls have shown both Democratic and Republican voters support Medicare for All. One such poll conducted by The Hill in October showed a majority of Republicans supported single-payer health care. Another poll conducted in January showed that 56 percent of American voters supported such an insurance system. 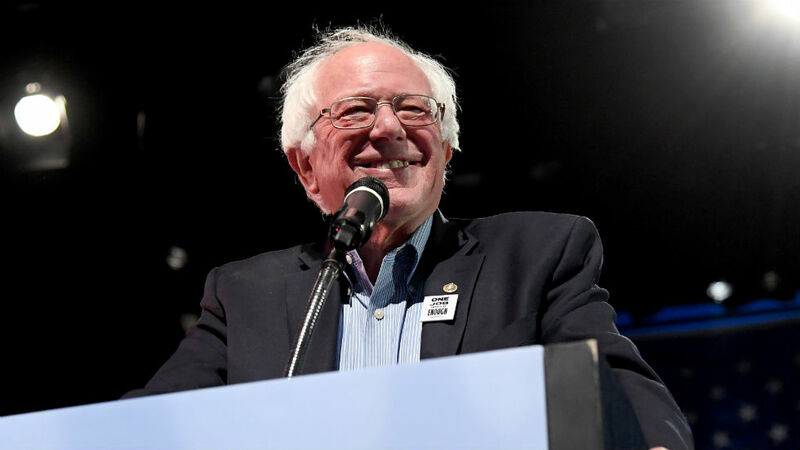 The video of Sanders on Fox quickly gained attention online Monday, with many pointing to the applause and past polling as examples of support among even conservatives for Medicare for All. Sanders agreed to a Tax Day town hall on the network, moderated by the “Special Report” anchor Baier and “The Story” anchor Martha MacCallum. In March, Democratic National Committee Chairman Tom Perez announced that the network would be barred from hosting any of the party’s primary debates. Democratic presidential candidates are not precluded from appearing on Fox News for interviews or town halls, however. Next articlePelosi’s “little gifts of love” murdered 8500 people in the first quarter of 2019, but sure, send them up to us to improve our country.